Meeting with the tour guide in the hotel lobby between 6pm and 8pm. Overnight at Glo Art Hotel 4****. Breakfast at the hotel. The morning is dedicated to the guided tour of Helsinki with its best highlights like the Cathedral, the Senate square, the Sibelius monument, the church on the rock and musch more. Afternoon free for private visits and Christmas shopping (do not miss the Christmas market). 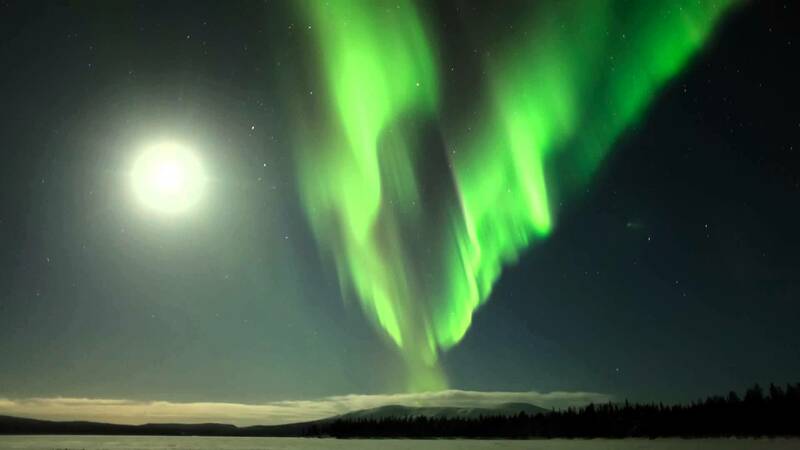 Transfer to the train station and overnight train journey to Rovaniemi in cabins with private or shared facilities. Breakfast box during the train journey. 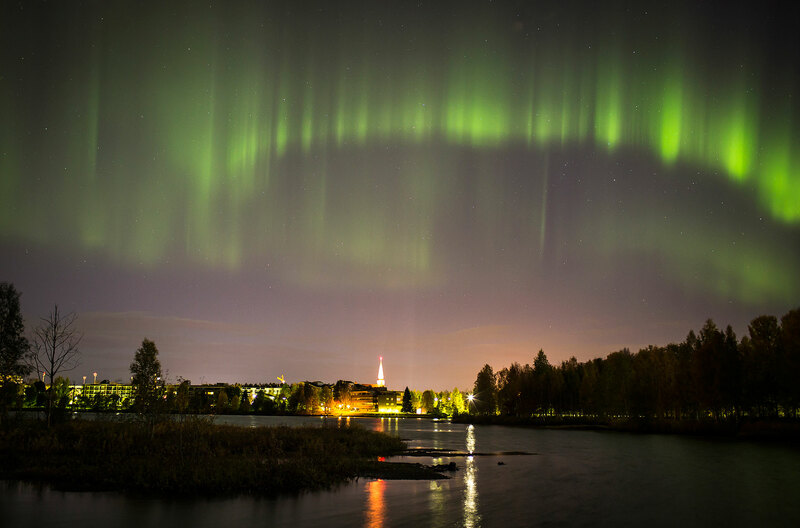 Upon arrival in Rovaniemi, transfer to the Scandic Rovaniemi Hotel 4**** for the check in. 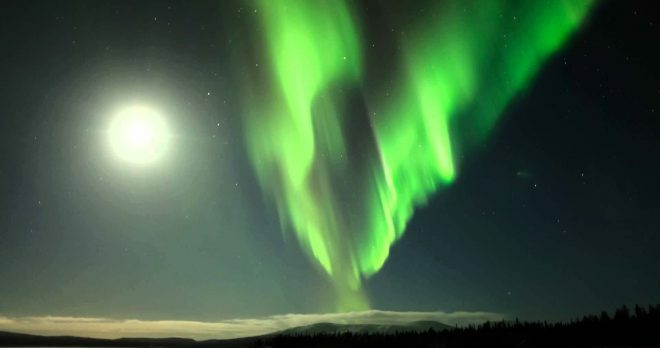 On spot you will receive thermal outfits, which you can keep for your entire stay in Rovaniemi to keep you warm and enable you to enjoy the snowy landscape. 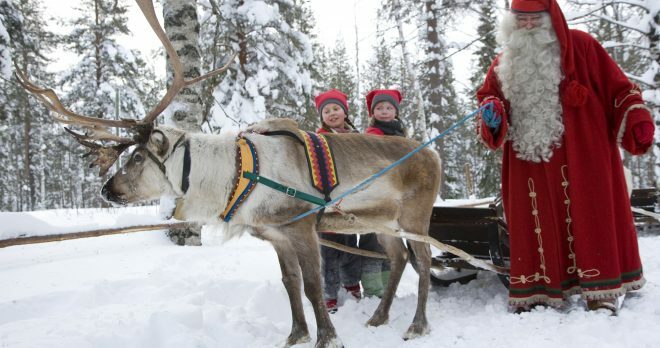 Excursion to the Santa Claus Village, located on the Arctic Circle. 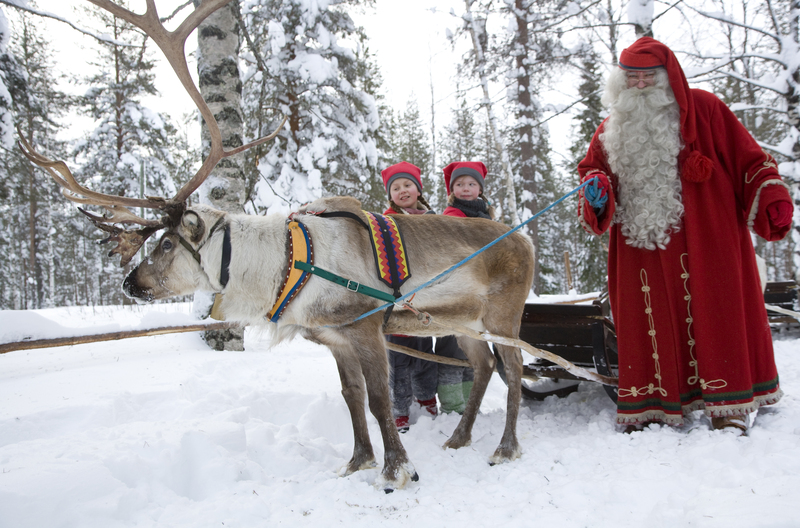 You will get the chance to meet Santa himself, visit his post office and send some post-cards, which will be stamped by hand with a special postmark of the Santa Claus Post Office. 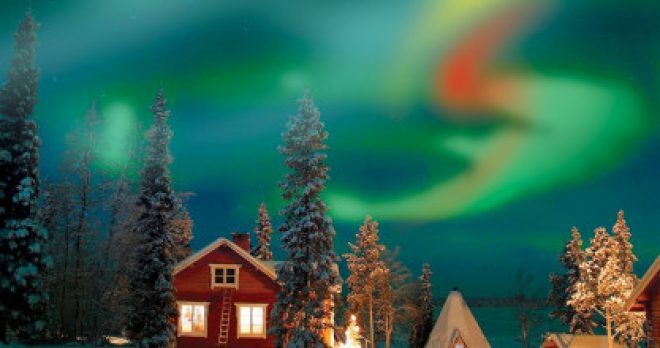 In this magical world you can find some unique gifts such as Finnish handicrafts or top Finnish Design products. In the evening enjoy a traditional Christmas Eve Dinner. For families with children it is possible to leave the Christmas gifts for the children at the reception so Santa Claus can pick them up and give them to the children on Christmas Eve. Overnight at the hotel. Buffet at the hotel. Morning dedicated to a snowmobile safari with ice fishing. Your safari guide will give the group a detailed briefing and driving instructions before setting off on the tour which will take place on a frozen river. Here you will experience the unique way of ice fishing, through a drilled hole in the ice. 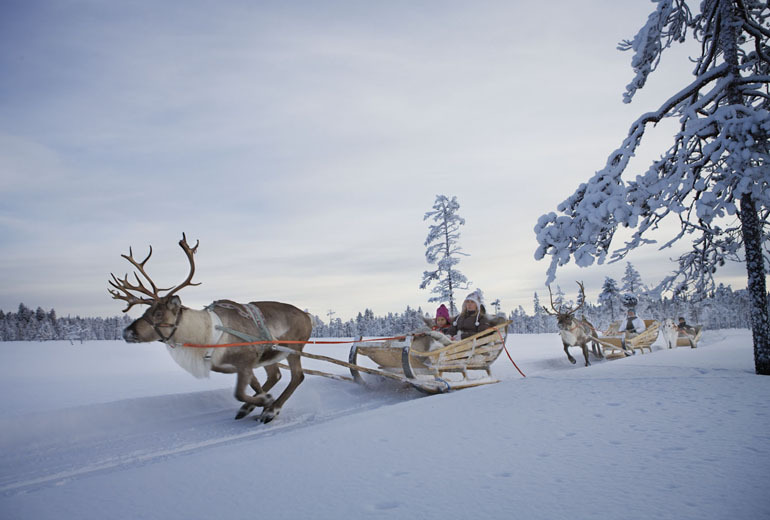 Enjoy hot drinks and biscuits to keep yourselves warm, and relish the silence of nature, while breathing in the fresh air of Lapland. 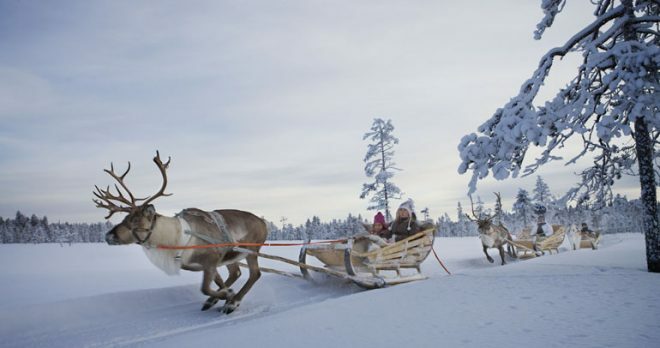 After this special experience, return to the city by snowmobile! 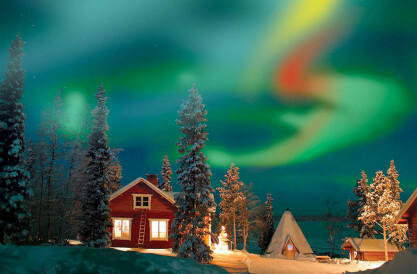 Tonight we will enjoy a traditional Finnish Christmas dinner. Overnight at the hotel. Breakfast at the hotel. 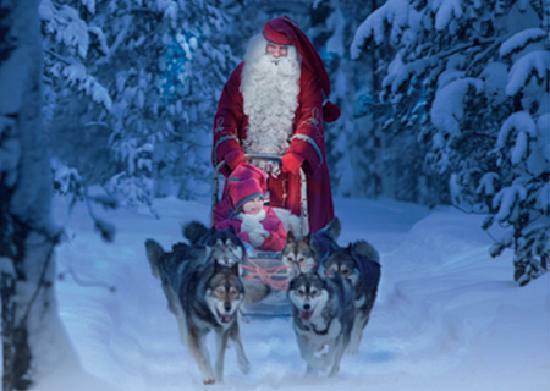 A new adventure awaits you today with huskies and reindeer. 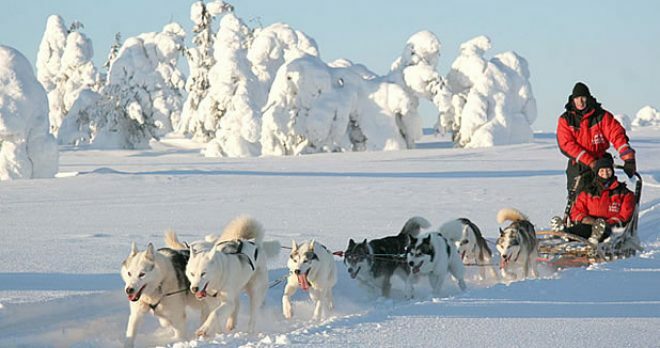 Drive to a husky farm where the breeders will tell you about the life of huskies and share details about the breeding, feeding and training of the dogs, while you enjoy a hot drink. 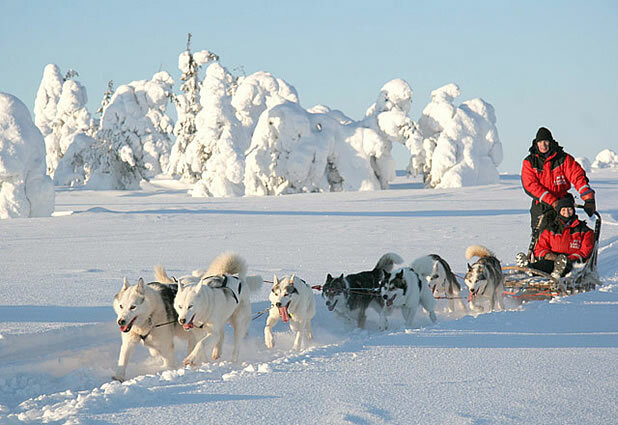 Here you have the opportunity to go on a sleigh–ride pulled by a husky team. Their eagerness to run through the silent forest makes this adventure very thrilling. 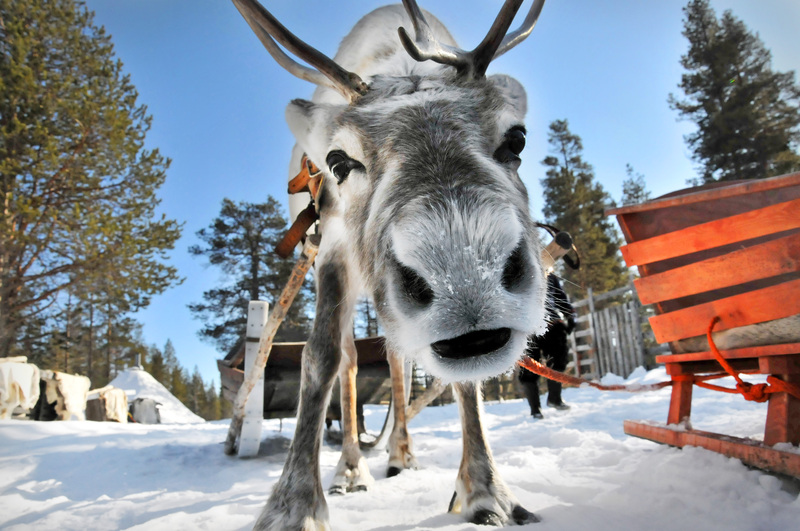 Continue to the nearby Reindeer farm to learn more about the life of reindeer and their herders. 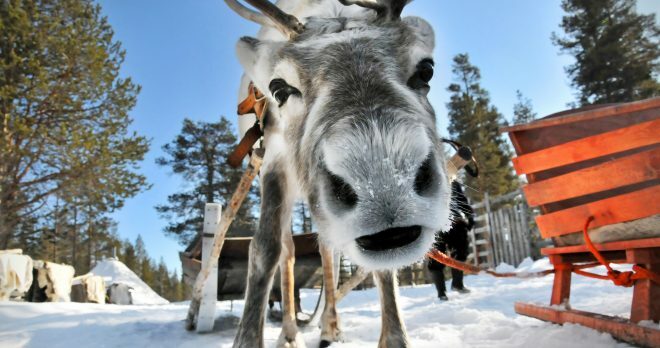 Ride in a sleigh pulled by reindeer. In the evening you can join an Optional excursions Christmas with Santa Claus 2018 Overnight at the hotel. Breakfast at the hotel. Full day dedicated to the excursion to the Ranua Wildlife Park. 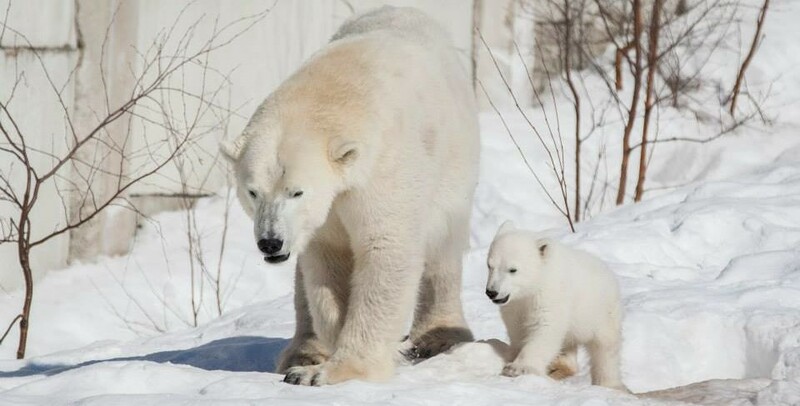 Here you have the unique possibility to see Arctic animals in a more authentic environment. 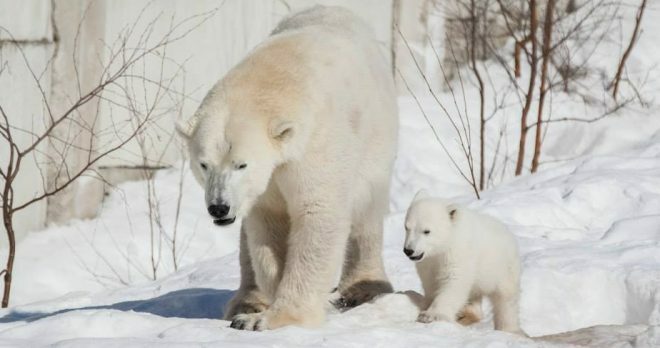 There are around 50 different species represented in the park and during your walk in the park, you may spot polar bears, lynxes, moose etc. 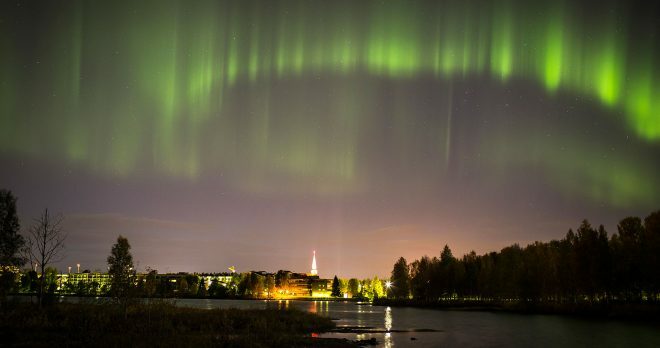 Upon returning to Rovaniemi, enjoy a buffet dinner before boarding the overnight train, which will take you back to Helsinki. Overnight in cabins with private or shared facilities. Breakfast box on board. Arrival to Helsinki and transfer to GLO Art Hotel 4****. 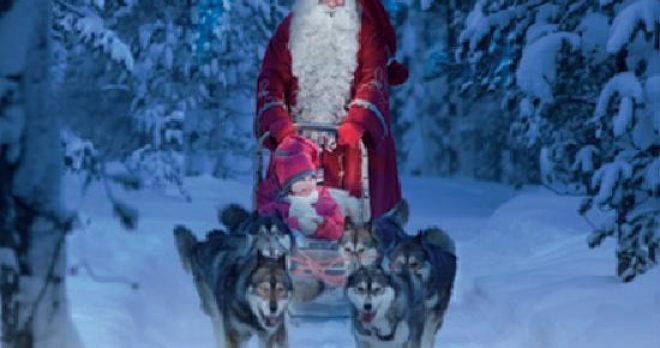 Rest of the day at leisure in Helsinki or join the Optional excursions Christmas with Santa Claus 2018. Overnight at the hotel. Breakfast at the hotel and end of the tour. GENERAL INFORMATION: 1. For security reasons, children under 14 years or shorter than 1,40m are not allowed to ride the snowmobiles, but can be seated in a sleigh behind the snowmobile. 2. Maximum of 1 child sharing a room with the parents. Please note: There is only space for 2 people in the cabins for the overrnight trains so an extra cabin is provided for the 3rd person.